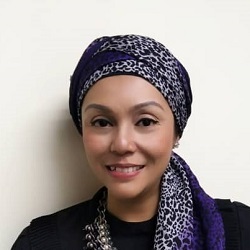 An experienced professional banker in consumer banking, particularly in e-banking, cards & payment, loans and deposits for over 28 years, having served in Citibank and Maybank, including as Senior Executive Vice-President at Maybank and Chief Executive Officer of Maybank Finance, and adviser to Bank Islam. He has extensive exposure and coverage in segment marketing, product development and distribution channel routing. He holds a BBA from Ohio University and a MBA from State University Tennessee, USA. 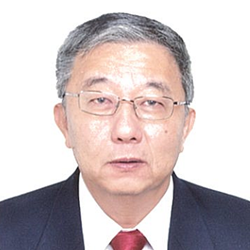 An experienced professional banker in international banking, particularly in cross-border banking, offshore operations and capital market transactions for over 25 years, having served in Arab-Malaysian Merchant Bank, setting up AmBank Group's offshore operations in Brunei and Labuan, and as the CEO of AmInternational Labuan, which was the most active listing sponsor on the Labuan International Financial Exchange (LFX). 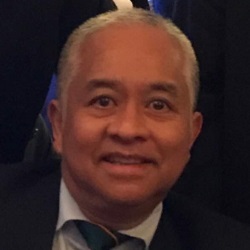 He was an Committee Member of LFX and the former Chairman of the Association of Offshore Banks in Labuan, a member of the Task Force on Islamic Finance, an Executive Committee member of Financial Park (Labuan) and a member of the global Payment Advisory Group of Wells Fargo Bank, N.A., San Francisco. He has extensive exposure and coverage of cross-border financing, USD denominated debt and sukuk instruments, and listing. He holds a BSc (Geology) and a MBA from University of Malaya. A receipient of Tokai Bank Foundation scholarship, he has completed Japanese studies at Nanzan University. 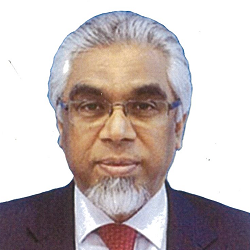 An experienced professional banker in investment banking, particularly in Islamic finance, capital markets and corporate banking, having served in AmBank Group for over 32 years. He helped establish the Group's Islamic banking and finance activities, and maintain the Group as the top 3 Sukuk issuer for some 20 years, and raising over RM 100 billion. He is a pioneer in Islamic investment banking and a Board member of the Islamic Banking & Finance Institute. He also sat on various committees at Bank Negara Malaysia, Securities Commission, Malaysian Investment Banking Association, Association of Islamic Banking Institutions Malaysia. and the Malaysian Accounting Standards Board. He has participated as speaker and panel member in major international and local Islamic conferences, round-tables and roadshow discussions. He holds a Bachelors (Economics) degree majoring in Accounting and Financial Management from Macquarie University, Sydney, Australia. 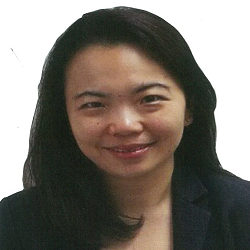 An experienced investment banker, with over 14 years of work experience in corporate finance, investment banking and audit work, having served in RHB Investment Bank, AmInvestment Bank, Kenaga Investment Bank and PriceWaterhouseCoopers (M&A division). Her experience includes initial public offering & listing transfer, mergers & acquisition, reverse take-overs, REIT restructuring, divestment and raising equity and private debt securities. She holds a BComm (Accounting & Finance) from Monash University, Australia. 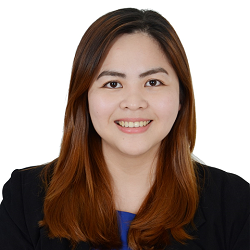 An experienced investment banker, with over 13 years of work experience in corporate finance, financial analysis and audit work, having served in RHB Investment Bank, FedEx Malaysia and Ernst & Young . His experience includes initial public offering, listing transfer, mergers & acquisition and raising equity. 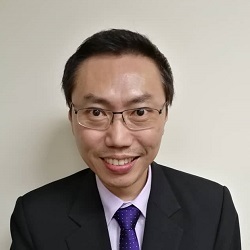 He holds a BSc in Computer Science & Management Studies from the University of Nottingham, Malaysia Campus and is currently pursuing the ACCA Professional level papers. An experienced corporate finance personnel, with over 8 years of working experience at MIDF Investment Bank and Sadec Corporate Advisory. Her experience includes initial public offerings, independent advisory, and raising equity and private debt securities. She holds a Bachelor of Banking from Universiti Utara Malaysia. An experienced finance personnel, with over 9 years of work experience in project advisory, business restructuring, finance & accounting, legal and human resource management gained principally at Sadec Group. Her experience includes fund raising, restructuring, regulatory compliance and oversight of legal and secretarial matters. 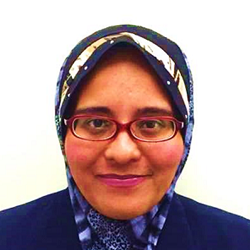 She holds a Bachelor of Political Science from International Islamic University Malaysia. An experienced professional with 12 years of experience in operations & client services, product and channel management, gained whilst working at an offshore bank, and technology and software houses. She manages client relations and support services in Sadec Group. She holds a Bachelor in Business Administration (Marketing) from University of Technology MARA, and a Diploma in International Business.